i686 iso works fine in virtualbox on both a windows and linux host from my testing. 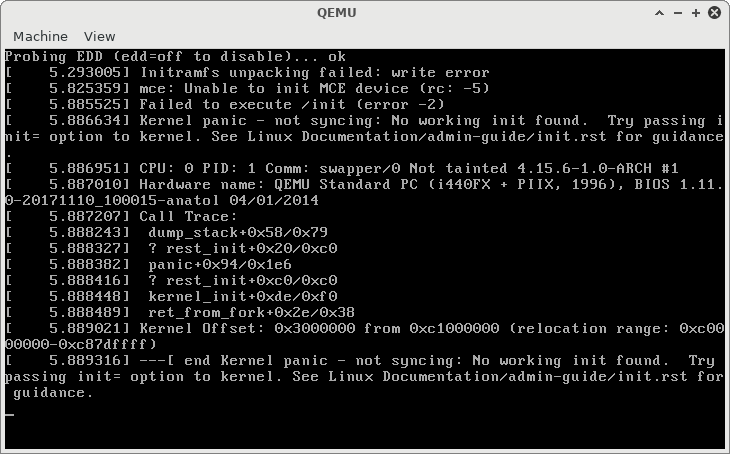 Issue confirmed on qemu-system-i386 and qemu-system-x86_64. archlinux-2018.04.01-i686.iso fails to boot correctly as well. indicates the initial ram disk has been loaded. 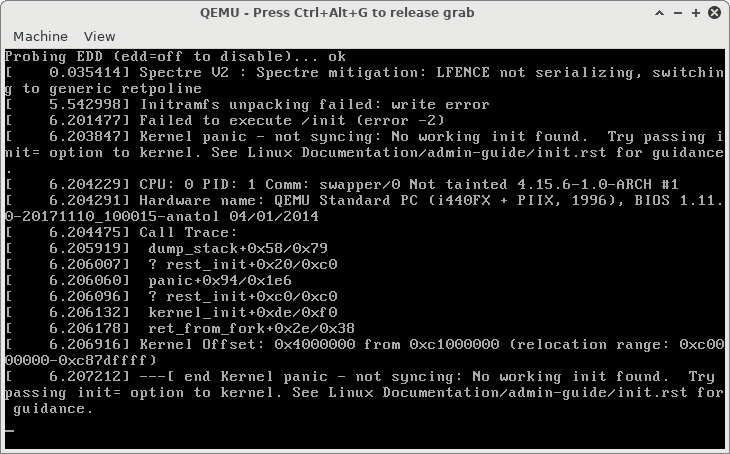 The write error indicates that the ramdisk could not be extracted. Sadly this is not the cause for VirtualBox, there it still fails even with 2048MB memory. The 2019.01.04 ISO works with Virtualbox 6.0.0.